When Dylan Bradley’s little brother, Ethan, needed emergency care (treated for a high fever) at Rady Children’s Hospital, he noticed the donation bin in the emergency room was empty and realized he wanted to do something to help. 7-year-old Dylan set up a table in front of his San Diego home on weekends and began selling items from their home pantry, mostly Cuties, to neighbors, raising about $400 for the hospital that helped his brother. Cuties learned about Dylan’s efforts and wanted to do something to help. 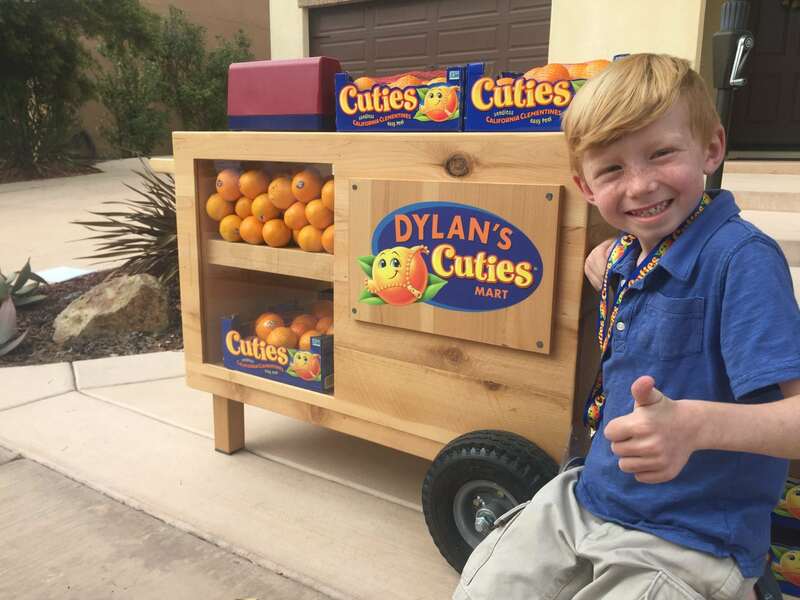 They recently surprised Dylan with his own custom-made cart, “Dylan’s Cuties Mart.” Dylan came home to a crowd of neighbors and friends waiting to purchase a treat — in his first day of sales with his new cart, Dylan set a new one-day sales record: $108. Can’t visit Dylan’s cart? Support his efforts virtually here: http://give.rchsd.org/goto/dylanscutiemart.